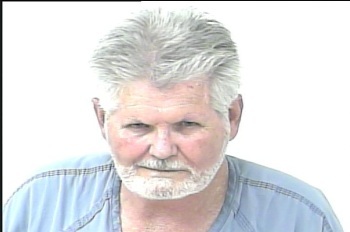 Purported “sovereign citizens” Travis Lee Lambert and Janet Tharpe Hancock are listed as prisoners at the St. Lucie County Jail in Fort Pierce, Fla.
Lambert, 62, and Hancock, 61, were booked at the jail July 2, according to the St. Lucie County Sheriff’s Office. They are being held on fugitive warrants from Alabama. Lambert was charged last year with the unauthorized practice of law amid allegations he filed court pleadings for Hancock, his girlfriend and a convicted burglar out on bond during an appeal. “Sovereign citizens” may have an irrational belief that laws do not apply to them. Hancock is at least the second female “sovereign citizen” arrested in Florida in recent weeks. 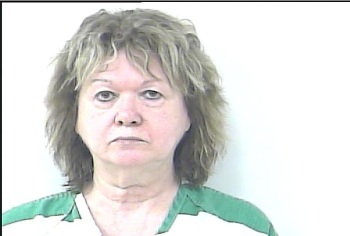 “Linda Louise” was arrested in May by police in Punta Gorda. See report in Andalusia Star News. From other news accounts regarding this couple they were from Huston County in Alabama and one of the papers covering them was the Dothan Eagle. In the next to no effort I felt it was worth I wasn’t able to find a connection between Lambert and Huston County’s most “famous” sovereign, “President” Tim Turner of the Republic for the united States. Tim’s been stringing people along now for going on two years claiming to be the head of a government recognized as the legitimate by an ever increasing number of foreign nations. He used to be an amusing liar but now I only tune into his online sermons occasionally to see how little progress has been made in bringing the “de facto” to it’s knees. Did I mention Tim Turner is suing the real president? There are many named defendants, the Speaker of the House, the President of the Senate, all the Sheriffs of every county in the USA and the Dothan Eagle news paper. All that’s pretty standard when the President of imaginary repulics sue real Presidents but the one name defendant I found to be in the poorest of taste is former Chief of Police for West Memphis Arkansas Bob Paudert. For those of you who don’t know Mr. Paudert’s son was one of the two officers killed in the line of duty by Jerry and Joe Cane. He’s said that before that day he’d never heard of “sovereign citizens” and after the death of his son he’s educated himself about the dangers these people pose and he travels the country educating other law enforcement agencies.